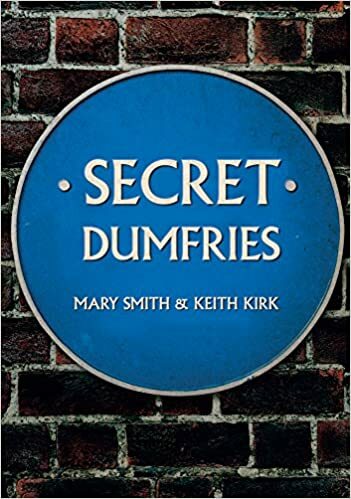 Obviously, as not all readers will know Dumfries we included a brief overview of the well-known areas of its history and I suspect we could have written a whole book on the pre-history of the area. When I was chatting to the local authority’s archaeologist he showed me maps on which he’d plotted ancient historical sites – there are literally thousands. However, we had a strict word count so maybe that’s a project for another time. Our ‘office’, was the osprey viewing platform near Threave Castle. Not a bad spot in which to meet to discuss how were going to tackle the work and to catch up with each other and report on progress. Looking back, what I remember most was the excitement of ‘Have you seen…. ?’ and ‘Did you know…?’ or ‘Did you hear about…?’as we shared our discoveries. For Keith, it was usually some magnificent sandstone carvings high above the usual line of sight, which excited him. Or, curiosities such as the sandstone carved Tree of Life, rescued from a house which was demolished in 1795. For me, it was learning the stories of some amazing people buried in St Michael’s churchyard – people like Blin Tam, the bell ringer who, despite losing his sight as a child, was the bell ringer at the Midsteeple in the centre of town for over sixty years. We were both excited, and puzzled, by a strange standing stone on a green area overlooking the River Nith. It is a stone, and it is standing upright but no one knows – not even the archaeologist – exactly what it is or where it came from. Set into the walls around it are sandstone blocks engraved with marriage initials. We suspect the late Alf Truckell, one time curator of the museum, rescued them when what had been the medieval heart of the town was demolished. Not all the secrets we discovered were old. Keith asked if I knew about a small plaque under an arch of the Buccleuch Street Bridge. Under the name Derek Styles was the word Tinker in brackets. We wondered if it might have been a tinker or traveller who’d died there. Further research uncovered a sad story. Derek Styles, whose nickname was Tinker, had been with the 2nd Battalion of the Parachute Regiment in the Falklands and taken part in the battle for Goose Green in May 1982. It was a battle which involved the Paras using bayonets as well as bullets and phosphorous grenades which burn a man alive. Tinker was twenty-one. Whatever he experienced and witnessed changed him forever. Tinker was a familiar figure selling the Big Issue in town – and he always sold every copy. Shortly before he died, he asked Mark for a referral to a programme at Combat Stress, but he died before he was offered a place. He died before he reached the age of fifty-two. Mark describes Tinker as ‘a quiet man. A decent man. A man with genuine morality. Empathy. Humanity.’ Tinker’s friend, Gary, arranged for the tiny plaque to be put under the bridge (a place where they used to drink) so that Tinker would not be forgotten. Tinker’s is the last secret in the book and Keith and I are pleased to help in a small way to ensure Tinker’s story is known. Dumfries, in south-west Scotland, has a long history, much of it well recorded. However, as with most places there are more than a few secrets hidden away. First referred to as the Queen of the South by local poet David Dunbar in 1857, the name stuck and was later adopted by the local football team. Not many know that this makes it the only football team in the world mentioned in the Bible. Darker aspects of the town’s history include the burning of nine witches on the Whitesands in 1659 and the last public hanging of a woman in Scotland, Mary Timney, was held in Dumfries in 1862. There are tales of plague victims being exiled to Scabbit Isle, of murderers and grave robbers. Not all its secrets are so dark: there’s Patrick Miller and his introduction of turnips courtesy of King Gustav III of Sweden, and the exiled Norwegian Army making its home in Dumfries during the Second World War. And what is the significance of the finials depicting telescopes and anchors on the railings along the Whitesands? For these, and all Mary’s books, please click the links or visit her Amazon author page. “What a little gem this book is. There’s a super variety of stories packed with atmospheric and entertaining writing containing both pathos and humour. 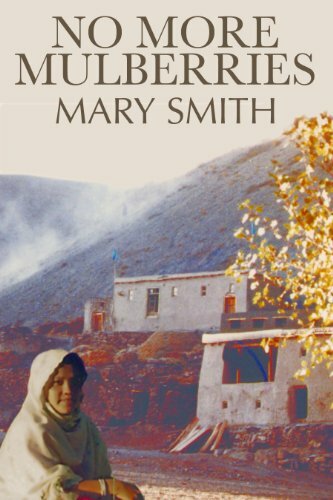 Mary Smith manages to convey clear and distinct voices for each of her brilliant characters, from a Pakistani boy to an elderly Scottish woman. 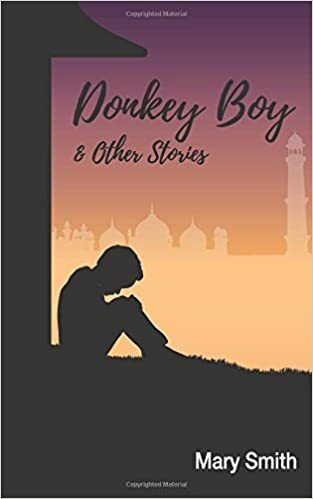 What I liked so much about every one of them is at I felt I knew them instantly and understood them completely but without the author imposing her own judgement on them as they make their way through life… I found Donkey Boy and Other Stories a moving, engaging and beautifully written collection that has the ability to touch the reader, make them thankful for their own life and to make them think. I’m delighted to have read it.” Extract of a review from Linda’s Book Bag. 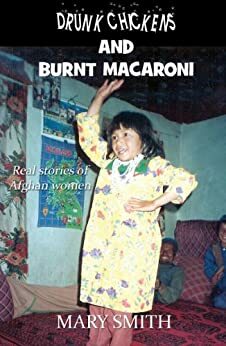 This book offers a remarkable insight into the lives of Afghan women both before and after Taliban’s rise to power. The reader is caught up in the day-to-day lives of women like Sharifa, Latifa and Marzia, sharing their problems, dramas, the tears and the laughter: whether enjoying a good gossip over tea and fresh nan, dealing with a husband’s desertion, battling to save the life of a one-year-old opium addict or learning how to deliver babies safely. Mary Smith spent several years in Afghanistan working on a health project for women and children in both remote rural areas and in the city of Mazar-i-Sharif. Given the opportunity to participate more fully than most other foreigners in the lives of the women, many of whom became close friends, she has been able to present this unique portrayal of Afghan women – a portrayal very different from the one most often presented by the media. This entry was posted in Books, Guest post and tagged Book launch, Dumfries, folklore, hidden history, new book, people, Photography, Scotland, stories, town guide. Bookmark the permalink. Thank you, I’m really pleased you enjoyed the post. What a sad story about Tinker; a war that seemed to be over quickly, but the problems afterwards have been hidden. I know and it’s a story replicated many times all over the country. Tinker is at least remembered with fondness by those who knew him in Dumfries. Thanks, Darlene. It was really enjoyable working with Keith. Our “office” is pretty special, isn’t it. It’s directly opposite the osprey nest with a castle to the left and a view up the river on the right. Congrats on you and Kieth’s collaboration! It was interesting seeing a glimpse of Scotland through your eyes. Thank you, Jacquie. Glad you enjoyed the tiny glimpse of a tiny part of Scotland. I’m overcome by the tale of ‘Tinker’. There have been far too few diagnoses of PTSD for the Falklands generation. We’ve known at least since WW1 that shell shock results in broken humans and yet only in the last ten or 15 years have there been concerted efforts to address the problem. Shameful. I applaud you, Mary, for including Tinker. Thank you, Sarah. We were a little bit concerned because his friend, Gary, put the plaque up without permission. It’s tiny and I walked right by it even though I was looking for it, so it’s doing no harm. I think if any jobsworth from the local authority tried to have it removed there would be outrage from people who now know Tinker’s story and about the plaque. I believe more service people took thier own lives as a result of PTSD after the Falklands than were actully killed in battle. When I think of my son at the age Tinker was I am sure he would never have recovered from seeing and doing such things. I believe that’s the case too. Dreadful treatment. I’d join in any outrage if Tinker’s plaque is removed! Keith would hate people to think he took it! A great feature, Sue. Mary is an accomplished writer, great advocate of her area, and a gem of a blogger. Her new book will become an indispensable companion to anyone touring in and around Dumfries, or for those residents who wish to know the fascinating history of their town. Thanks for writing such flattering comments, Pete. A lovely way to end my day. I agree with you on all of that, Pete. Thanks, Marcia. Get yourself over here and I’ll arrange for you to meet some men in kilts – but I promise you there is so much more to Scotland than them! I managed to order your book on Amazon US and they will courier it. Really looking forward to reading this, Mary. Thanks, Debby, glad you enjoyed the post.